Erin Chenard is a soprano trained in classical singing. She is an active soloist, regularly performing throughout Southern and Midcoast Maine, and has been a member of the St Mary Schola since its founding. She has sung with the Maine Pro Musica Orchestra, the Downeast Singers, the Calderwood Consort, the Bostonians Opera Company, and as a member of the Westminster Symphonic Choir was heard in the New York Philharmonic’s 2006 broadcast of Handel’s Messiah. 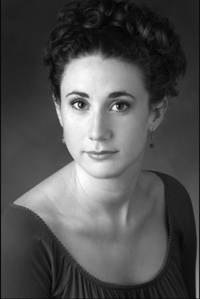 Ms Chenard is a graduate of Westminster Choir College and the University of Southern Maine School of Music and holds a M.M. in Voice Pedagogy and Performance. She is a newly minted member of NATS, the National Association of Teachers of Singing, and currently serves as private voice instructor at the Bay Chamber Community Music School in Rockport and the Portland Conservatory of Music.